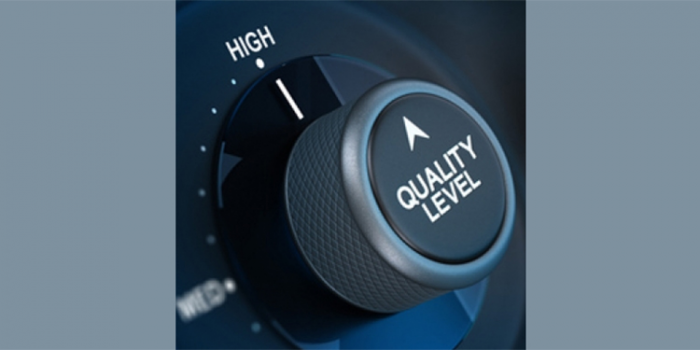 Is Customer Data Quality a High Priority to You? 95% of consumers say they’d stop spending with a company that handled their data badly. If you care about your profitability and your bottom line, that statistic will surely alarm you. The survey that found this startling statistic was carried out by GB Group. They found that 95% of surveyed consumers cared deeply about the wrong information being held by businesses. They also worried about information that was shared inappropriately with third parties, and they said they’d walk away from any company that abused their trust or mismanaged their security. Data management, and data quality, are issues affecting every business globally. As we become more reliant on digital communications, data is only going to become more critical. That’s why investment and care is so badly needed. When data hacks hit the headlines, the media almost always focuses on large brands. Sony, LinkedIn, Office… high street names sell newspapers. The bigger the hack, the more worrying it is, and the more it brings data risk into sharp focus. Small businesses don’t feature often in the news reports; in fact, many will never realise their data has been taken. As a result, too many businesses assume it won’t happen to them. IBM research suggests that one in three well-known brands will suffer a major data breach in the next 24 months, according to its partner, Ponnemon. Across all types and sizes of organisation, that falls to one in five, but it’s still a highly unacceptable number. People have become increasingly wary of giving their data to businesses because of the perceived problems of mismanagement. There are various reasons why people are disguising their true identities. All of them are preventable. So, in short: people are handing businesses poor quality data from the outset, because they figure their data won’t be valued anyway. They don’t have any faith in the companies they’re spending with. From spam emails to telemarketing, data is being misused. It’s simpler to use a false name, email address or postcode and let the business deal with the resulting waste. This is essentially a question of trust and control. It’s the consumer taking back control of their data. But they shouldn’t have to. Businesses should be investing in data quality and good management of data, so that consumers needn’t worry how it’s used. How do you feel when the postman pushes a handful of junk mail through the door? If it’s a company you feel positively about, you won’t see it as junk mail at all. But the term has been coined because plenty of marketing emails are misdirected, wasteful and irritating. If you get a customer’s name wrong, they’re going to have a right to be annoyed. If you send another customer three copies of your latest sales letter, there’s a very good chance that all three of them will go straight into the recycling bin or equally if you send them three copies of the same email. And if someone persistently gets mail for someone they don’t know, who doesn’t live at their property, they’ll develop a negative association with the brand. Private companies know that good data practice means better customer relations. 83% said they knew that governance and data protection were critical. Mitigating risk is a big part of getting consumers on-side, and that means handling their data with care. You can win over sceptical consumers by proving that measures are in place to protect their data. That means proactively caring for it, and showing your customers that it matters to you. It means deduplicating those extra contact records, updating your database to match ‘gone away’ records, removing the names of customers who have passed away, and updating customer records to reflect new names, addresses, and email addresses. If your customers don’t trust you to take care of their details, they’ll soon defect to a competitor. You will never achieve the ROI you’re expecting in your marketing campaigns, and your database will become increasingly unusable. If you use a CRM system, you owe it to your sales team to maintain the quality of the CRM data. A CRM that’s full of mistakes is no better than a dusty FiloFax. Data quality is not an IT problem, and it’s not just a matter for the marketing team. It’s a customer service issue. Don’t let your data quality challenges harm your existing client relationships, and don’t let data decay prevent your business from growing.